Is The Blister Beetle’s Bite Poisonous? What Can Harm Be Caused By Blister Beetles? 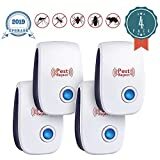 If you live in an area where blister beetles are common – the eastern and central United States, for example, as well as Mexico and the Caribbean – you are probably away of the strange species of insect known as the blister beetle. Maybe you’ve even come across this fascinating creature before. Perhaps you’ve been warned to stay away from these striking-looking insects. You may have heard horror stories about blister beetle bites. You may have even been hurt by one of these beetles yourself. 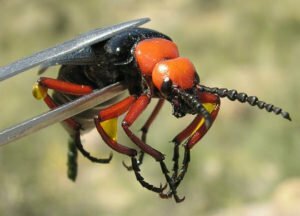 While it’s definitely true that blister beetles can cause harm to humans, there are some myths and misconceptions about the behavior and damage caused by these bugs. So let’s take a closer look at the issue of blister beetle bites and see if we can find some solutions to this troublesome pest. On the surface, this might seem like a silly question. Especially if you or someone you know has gotten a visible welt after coming into contact with a blister beetle. But actually, this is one of the main misconceptions about the blister beetle. Sometimes, people say that they have been bitten by a wasp or a bee when what they really mean to say is that they have been stung. A similar situation applies when it comes to the blister beetle. It’s not the blister beetle’s bite you have to worry about. It’s another defense mechanism the blister beetle has that may cause you some problems. Adult blister beetles feed on plants. As a result, like many members of the beetle family of which they are a part, blister beetles have mouths that are designed for chewing and tearing at leaves. Blister beetles do have visible jaws, or mandibles, a lot like the ones ants have, and they can look intimidating if the blister beetle is especially large. But the truth is that the blister beetle’s jaws are not strong enough to hurt a human, not even a child. They simply don’t have the jaw strength to hurt us, and their mandibles are nowhere near sharp enough to break our skin. 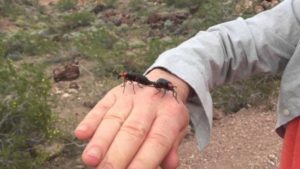 So why then do people talk about being ‘bitten’ by blister beetles? Well, just because these beetles can’t bite us doesn’t mean they can’t hurt us. These beetles have involved a different defense mechanism to protect themselves in the wild, and it’s one that can cause pain and suffering to humans. The blister beetle gets its name from the fact that, when crushed or roughly handled, it emits a substance called hemolymph. All insects have hemolymph; it performs much the same role in their bodies as blood does in ours. But the hemolymph of the blister beetle is different from that of other beetles. Blister beetle hemolymph contains a substance called cantharidin, and it is due to this substance that the blister beetle has the reputation it does. 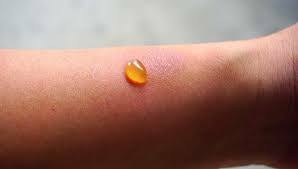 Cantharidin is an irritant substance, and it can cause human skin to blister when they come into contact with one another. It’s this effect of cantharidin that gives the blister beetle its name, and it’s these welts that people are referring to when they talk about being bitten by a blister beetle. While it’s not a bite, this chemical burn can be extremely painful, and over the years, it certainly hasn’t won the blister beetle any fans. So, if you’re wondering if blister beetles bite, the answer is no, technically. But they are very capable if hurting you in other ways. Many people, after receiving some blisters on their skin from the blister beetle, assume that the insect injected them with some noxious chemical via a bite, the way that certain snakes do. This is close to the truth, but as discussed above, it’s not completely true. Before we get further into this issue, we need to clarify the difference between two terms: poisonous and venomous. Poisonous, when used in connection to animals, means an animal that can cause death or illness when taken into the body of another animal. Venomous, on the other hand, means an animal that is capable of injecting venom into you. So, a rattlesnake is venomous. It can inject poison into you via its fangs, but you can eat a rattlesnake without being harmed if you really want to. The same applies to wasps and bees, that use a stinger to inject their venom. So the correct question to ask is, is the blister beetle’s bite venomous? As discussed above, the blister beetle’s jaws are not designed for piercing skin in the way that a snakes fangs or a wasp’s sting are. And even if blister beetles could bite people hard enough to break the skin, they don’t have any venom glands connected to their mouthparts that would enable them to inject venom. Instead, blister beetles carry their cantharidin inside their bodies, in the hemolymph that circulates through their system. Releasing this hemolymph is not a voluntary action on the part of the blister beetle; it is simply a reaction to the beetle being crushed. So even if blister beetles did bite – which they don’t – they wouldn’t be able to get their cantharidin into you that way. The way cantharidin works instead is via contact with the skin. We’ve probably all come across substances that have a similar effect, even in our homes. Bleach would be one example of a substance that can irritate the skin, along with some types of superglue. But cantharidin is even more potent than these substances. Cantharidin is classed as an extremely hazardous substance in the United States, and any facility that stores or uses it is subject to very strict reporting requirements. So it’s unfortunate that these small beetles contain so much of it! Once a person comes into contact with a blister beetle and gets some of the beetle’s hemolymph on their skin, irritation usually begins within a few hours. Small blisters will form at the site of contact and will look as though the skin has received a burn. This may be accompanied by redness and swelling of the surrounding skin, and pain in the affected area. While these blisters are unpleasant to look at and can be very painful, they don’t cause lasting scars or any major damage to skin tissue. Another possible issue with blister beetle cantharidin is if a person has some on their hands and rubs their eye before they realize what has happened. This will introduce cantharidin to the sensitive tissue of the eye, causing conjunctivitis, known as Nairobi Eye in Africa. This is a very irritating condition that is all too common, thanks to the fact that it can take hours after contact with the beetle for symptoms of cantharidin dermatitis to appear. Many people report not getting any blisters until the day after contact with the beetle, so it’s very important to be careful when handling any insect in the wild, especially if you suspect it might be a blister beetle. 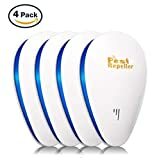 Diagnosis of blister beetle dermatitis is made more difficult by the similarity of the blisters to symptoms of Herpes simplex, herpes zoster or shingles and a range of other allergic and contact irritations. But the burning sensation caused by cantharidin is one sign that helps set it apart from these other conditions. Blister beetles are attracted to light, and so it is very common for people to receive blisters while sitting out at night near a swimming pool or under a porch light. The beetles can fly and will swarm around the lights, occasionally landing on people. When these people go to swat the bugs they can feel on their skin, they may crush the blister beetle and cause it to release its toxic blood. 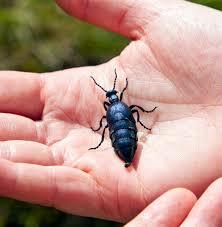 For this reason, blisters from blister beetles are most common on arms and necks. 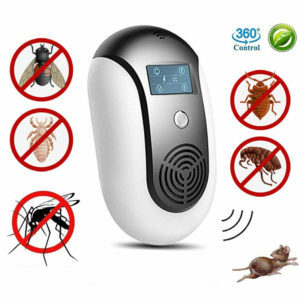 However, the blisters will appear anywhere that the bugs have come into contact with bare skin. No one likes to get blisters, and they are even less welcome when accompanied by the sensation of being burned. Blister beetles can cause quite severe reactions in some people, causing great pain. Cantharidin is even more dangerous when taken into the body. Its LD50 is around 0.5mg/kg. If you’re not up to speed on what that means, it is essentially a measure of a poison’s toxicity by how much of a dose it would take to kill a person. In this case, cantharidin can be fatal in doses as low as half a milligram per kilogram of a person’s body weight, so a dose as small as 10 mg can be fatal! By way of comparison, a notorious poison like arsenic has an LD50 of 15mg/kg, meaning it would take 30 times the amount of arsenic to kill someone as it would of cantharidin. Of course, it would be tricky to expose yourself to that much cantharidin via blister beetles. In case you need to be told this, you shouldn’t go around eating strange insects you find. 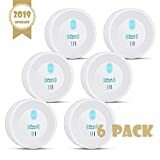 Since most people are smart enough not to do this, oral cantharidin poisoning in humans is thankfully rare, but it is worth considering if you have small children who are prone to putting things in their mouths and you live in an area that is known to have a population of blister beetles. Historically, cantharidin was used as an aphrodisiac, so it’s not unheard of for people to consciously consume this poison. There have been times when people are believed to have caused themselves great harm by doing this, with some historical reports from before the advent of modern medicine of people dying from cantharidin poisoning after taking it to improve their love lives. A more serious threat from blister beetles is the possible poisoning of livestock. People who keep horses need to be especially on their guard against their animals becoming sick or even dying from the poison these bugs contain. Blister beetles like to feed on alfalfa, and the alfalfa is often made into hay to feed horses. When the crop is cut and bundled, large numbers of blister beetles can be crushed, releasing large amounts of cantharidin into the hay. If the horses or other livestock eat too much of this contaminated hay, the cantharidin can overwhelm their systems. This can cause gastric distress, sickness and even death. So these small beetles, thanks to their chemical defense, can be dangerous even to large animals. While it’s not really the beetle’s fault, it is definitely something people need to consider when keeping livestock. Experts recommend you source hay for your horses carefully, and avoid getting it from areas with a high grasshopper population, since this is often a sign of a similarly high blister beetle population. A good practice when harvesting alfalfa for hay is to let it sit for a few days after cutting to allow the blister beetles to leave before bundling it up into bales. Now that we’ve cleared up a few misconceptions about blister beetles and their ‘bites’ which don’t really bite at all, it’s interesting to look at a few strange facts about the blister beetle and its unusual cantharidin-based defense mechanism. This toxic substance has a longer and stranger history than you might have guessed. As a naturally occurring poison that can be obtained far more safely than the kind that comes from, for example, snakes and spiders, cantharidin has been used for some very strange things over the years. For example, one of the best-known uses of cantharidin is as the main ingredient in Spanish fly. This was – and is – a substance with almost mythical properties, believed to function as an aphrodisiac. But all was not what it seemed with Spanish fly. The cantharidin, once it passes through a person’s system, causes irritation of the urinary tract, which was sometimes mistaken for sexual excitement. One symptom of cantharidin poisoning is prolonged erections, but this is hardly worth the risks to the health of the person taking it. As a result, the Spanish fly is now widely banned for use in many countries. Cantharidin does have other uses, though. Due to its irritant properties, it is sometimes used to burn warts off the skin. Needless to say, this is something that should only be performed by a trained medical professional. Don’t go rubbing blister beetles on your warts in the hope that this will leave your skin smooth and clear – it’s more likely to make things far worse! The ancient Roman historian Tacitus reported that the Roman Empress Livia, wife of Augustus, used cantharidin against her enemies. She would sprinkle it on their food in the hope that it would cause them to commit acts for which she could later blackmail them! Cantharidin is produced primarily by male blister beetles. Unlike the females, the males secrete the substance from the joints of their limbs and don’t need to be crushed to produce it. The females receive cantharidin from the males during mating, and they use the irritant to protect both themselves and the eggs that they lay. It has been observed that males contain more of the toxin in their bodies than females do. In Shakespeare’s famous play Romeo and Juliet (spoiler alert for a 400-year-old players coming up! ), Juliet takes a poison called Cantarella in order to commit suicide. Cantarella was a mixture of arsenic and cantharidin. It really is amazing to consider the effect these small beetles have had through human history. And it’s all because of the cantharidin they produce. While it’s theorized that the blister beetle produces this poison to defend itself from predators, we still don’t really know how it developed this tactic. 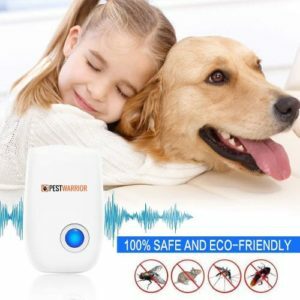 After all, since the poison is usually only emitted once the bug is already crushed, it seemed like a strange method of self-defense to develop. In any case, blister beetles are fascinating insects. 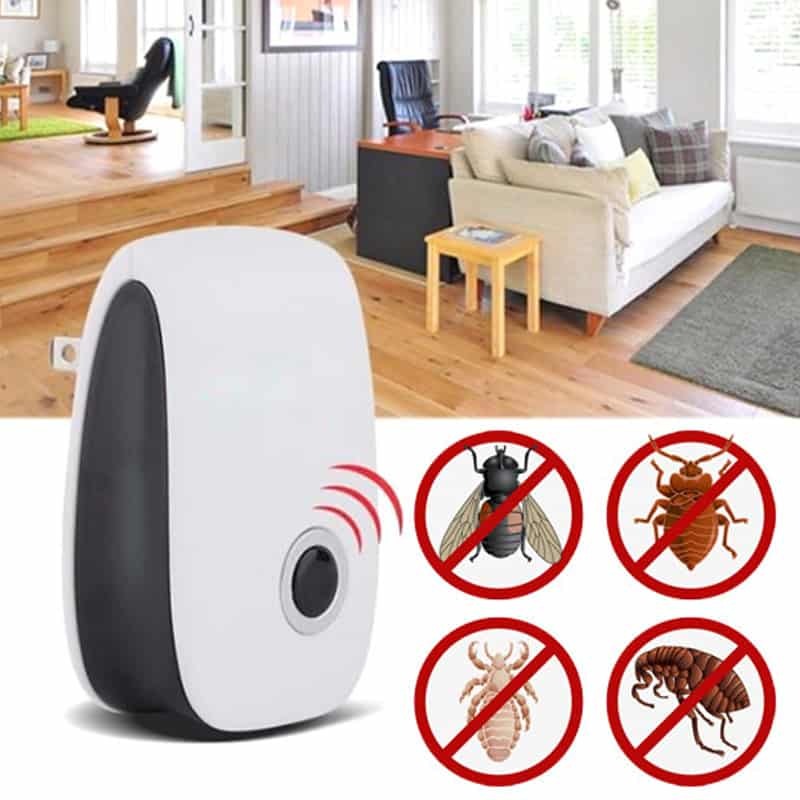 While it’s true that they can cause pain to humans, as long as they are treated with care and respect, it should be possible to live peacefully alongside these unique insects. Just remember not to get too close, or else you might get a reminder you really don’t want of how the blister beetle got its name!